Facebook is world’s popular social networking site, and with time and easily access to internet, people prefer to connect on Facebook than in real time. 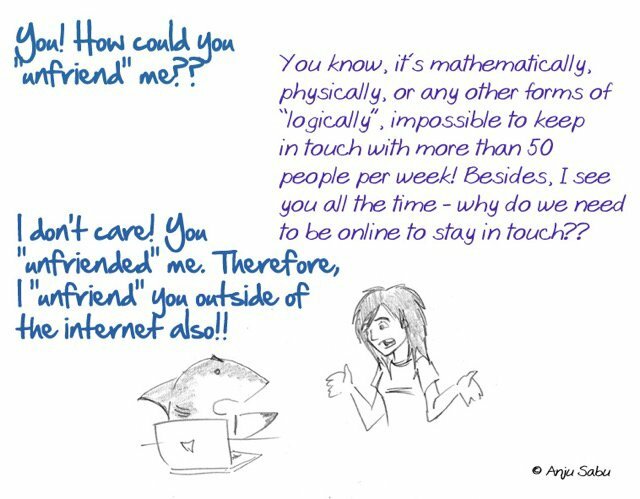 Infact, at many level, people prefer friendship over Facebook to be more crucial than meeting people in real-life. This is a big irony, but that’s why things are shaping up. Facebook addiction is nothing new, and it doesn’t matter how great your life is or not, on Facebook you can portray your life anyway you like it. Facebook is all about socializing, and there are many mistakes which we often make on Facebook, which haunt us at every point of time. No matter, if you just started with Facebook or using it for long-time, there are some common ground rule of Facebook, that you should follow and avoid making silly mistakes. 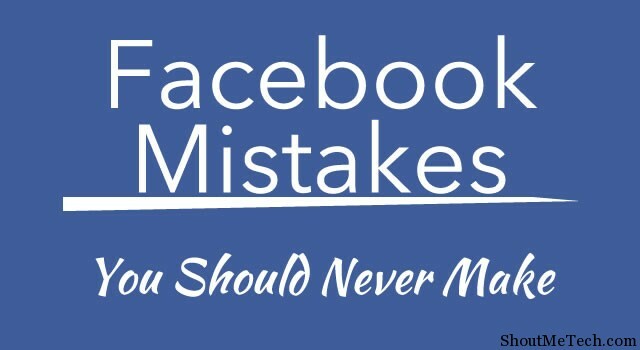 Here I’m sharing few silly Facebook mistakes, that you should avoid making at any cost. Facebook is all about connecting with people, and making new friends. But, at the same time there is a huge different between adding someone you really want to, and adding someone just for the sake of it. Facebook has already added many security features to stop random people add you, and at the same time stop you from adding random people in mass. If you add lots of people in short-time, you will not be allowed to add new users for certain time-period. More over, if you have sent random friend request to many users, they could report it, and your account might get into danger zone. So even if you have an itchy finger, than avoid adding random people in your list. Add only those people whom you know, or people with whom you want to connect. Don’t add people for the sake of it, as you will never find time to socialize with them, and in long run this will do more bad than any good. 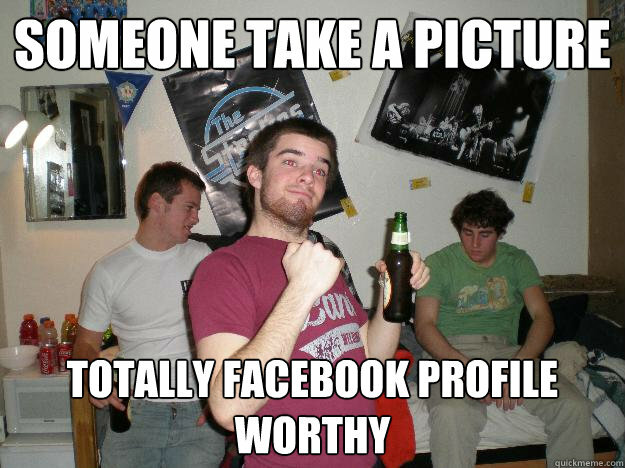 This is one common mistake most of the Facebook newbies make. The idea of getting likes and comments on new updates is always tempting, and a new user usually end up making lots of updates in a day. Specially if you are sharing your family pictures, or any pictures which expose your personal life, make sure your privacy setting for the updates are set to friends only. This will ensure your’s and your family safety from thousands of stalkers around. 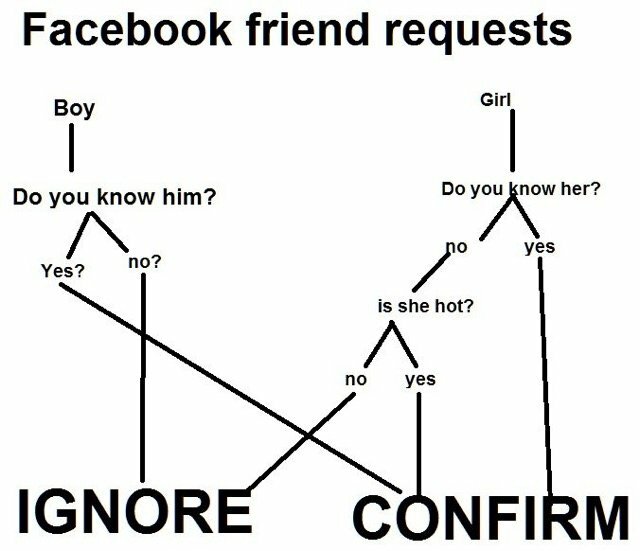 Check out this picture to understand, how you can set your status update privacy to your friends only. Don’t unfriend people until you have a very good reason, and specially not when you are angry or low in life. When you are drunk and using Facebook, you might be in a great mood or in a bad mood. No matter what mood you are in, never use Facebook when you are drunk. Do remember, every word on Facebook create long-lasting impression, and you don’t want to be called as drunk fool. You might not realize, what comments you made on people update, or what status update you made with your drunken state of mind. If you are a Facebook addict, make sure you stay away from Facebook at any cost when you are toxicated. More over, why do you need to be online, when you are enjoying in your offline life. This is not a rule book for Facebook or neither I’m teaching you how to use Facebook. But my goal with this article is to, stop making those silly mistakes on Facebook, which might end up embarrassing you later. Those are the manners of using facebook. These are really helpful instructions for facebook users. We should avoid above mistakes. Thanks to Harsh for this post. Yes,you are right Harsh! We should not use Facebook in a party where everyone is drinking. Yes Harsh Sir, you are great. You know about anything. Thanks for sharing… Everybody should follow these tips. Thanks Again. Insightful read… I have made some if these mistakes some years ago… How do I correct them since pictures on social media are extremely hard to delete because we might not know who saved what. great point by the way these are common mistakes mostly newbie do that i also do that when i first time join facebook behind this mostly people want like and comments for that he did mistakes. @Harsh Agrawal, i agree with you but what if i just want to get more followers? i know it kind of goes towards stalkers or something but still i want to get some followers. I’m guilty of sharing my pictures with public privacy. I think I should start re-editing a lot of things on my Facebook profile. Your post is an opener to me.